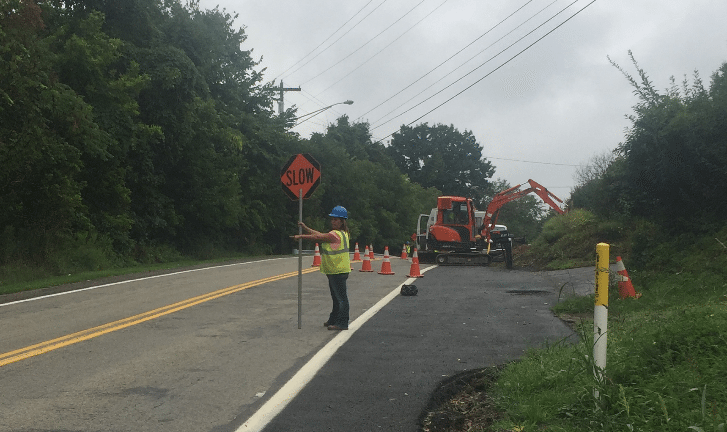 Every contractor is familiar with the mantra, “Call Before You Dig.” In Pennsylvania and the Pittsburgh area, this safety requirement can take on added complications. 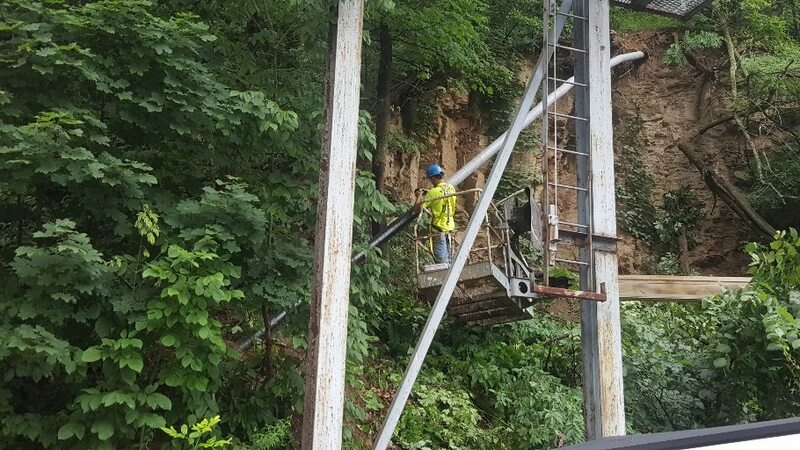 We live and work in a region with aging, even abandoned underground infrastructure. Pittsburgh’s underground is comprised of many cast iron and steel lines that have been taken off-line and are not marked on today’s maps of existing utilities. That means “one call” system information may not be accurate. When a jumble of abandoned and active utility lines are uncovered in nearby proximity, it can even be difficult to tell which is which. 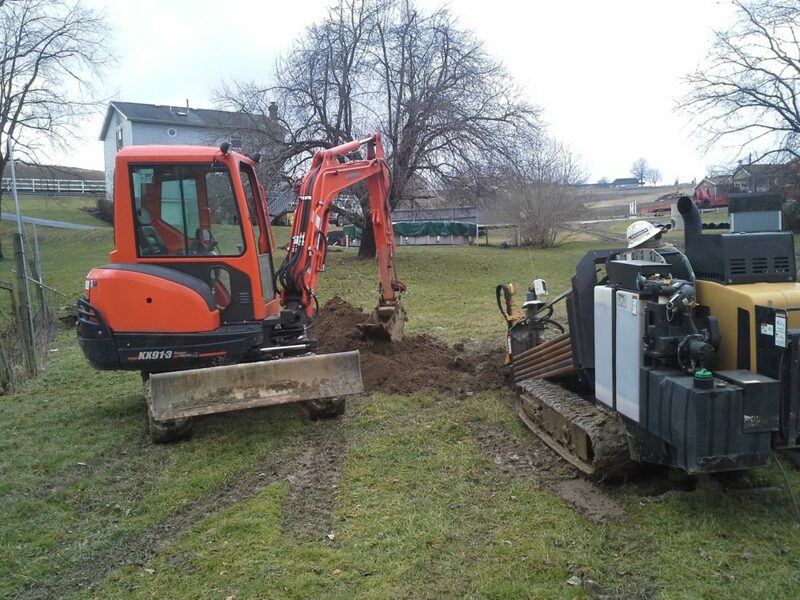 That’s why Banks Gas Service Inc routinely sends our own crews into the field to assure 100% accuracy before we dig. 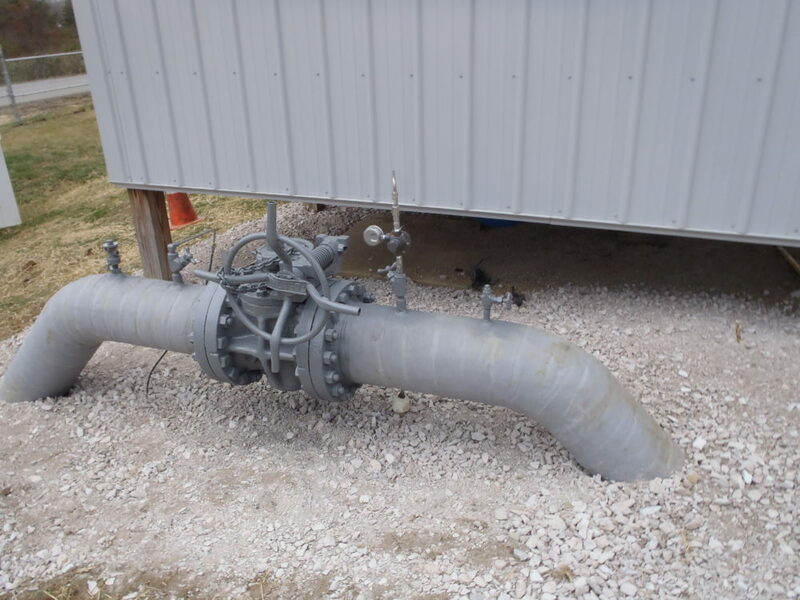 When it comes to natural gas lines, there is no margin for error. We can provide the same service for you. Call us today at 412-829-5000. 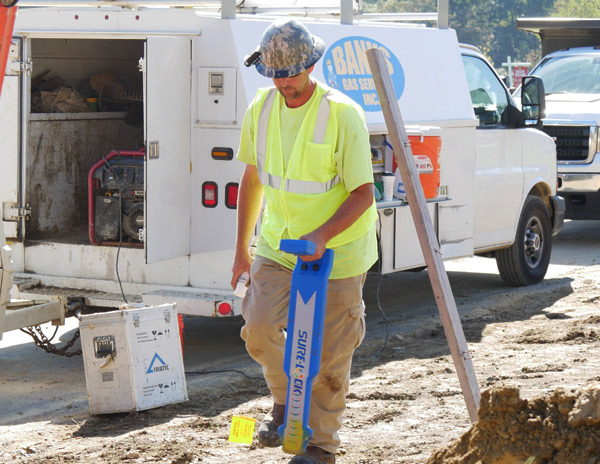 At Banks Gas, our goal is to provide 100% accuracy and GPS coordinate precision when it comes to locating underground gas lines and utilities. 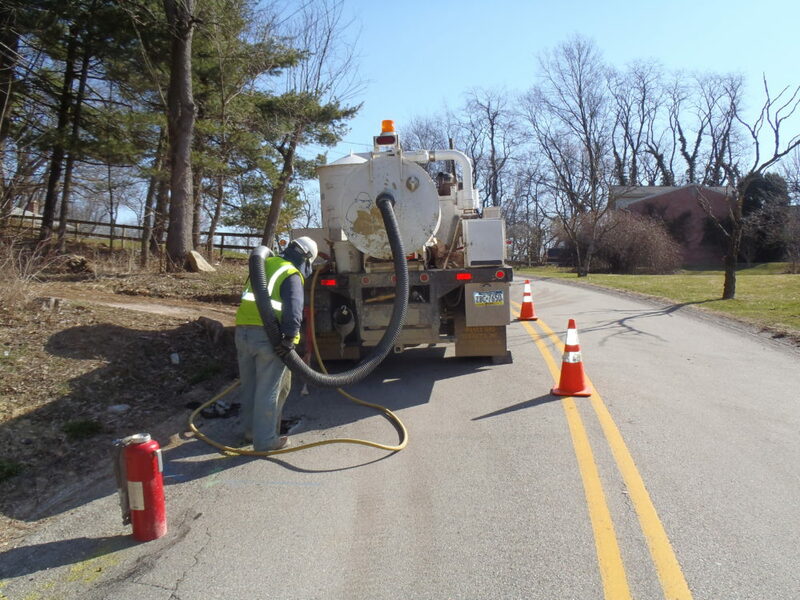 With advanced core drilling and vacuum excavation techniques, we can expose the precise location of the lines you need to access, repair, or replace. 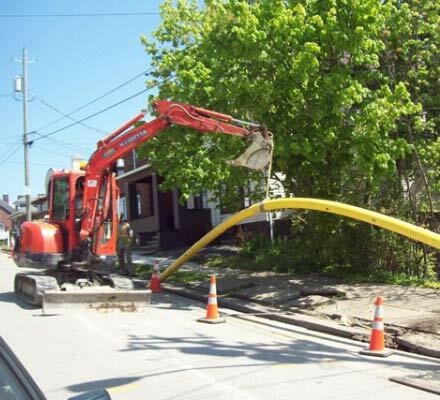 We can do this non-invasively, removing a 1 to 2 ft diameter core, vacuum excavating the fill, and exposing the utility line in question. 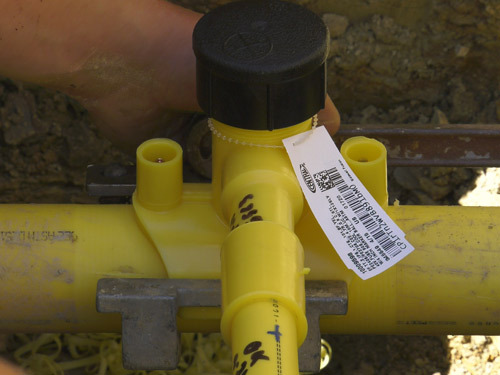 In a region where aging and abandoned infrastructure abounds, Banks Gas helps take the safety of “one-call” a step further, with GPS pinpointing of underground line positions.